It was the building that housed Sunil Bharti Mittal’s first office, and the SproutBox cofounders, Harpreet Kaur Sapra, Rajeev Gupta and Gagandeep Singh Sapra, hopes may work as a good luck charm. 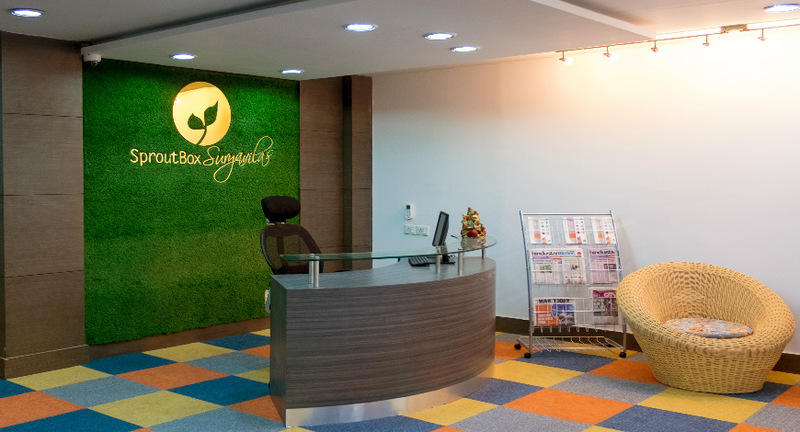 SproutBox, the first to get into coworking in India has just launched India’s largest co-working facility in Okhla. 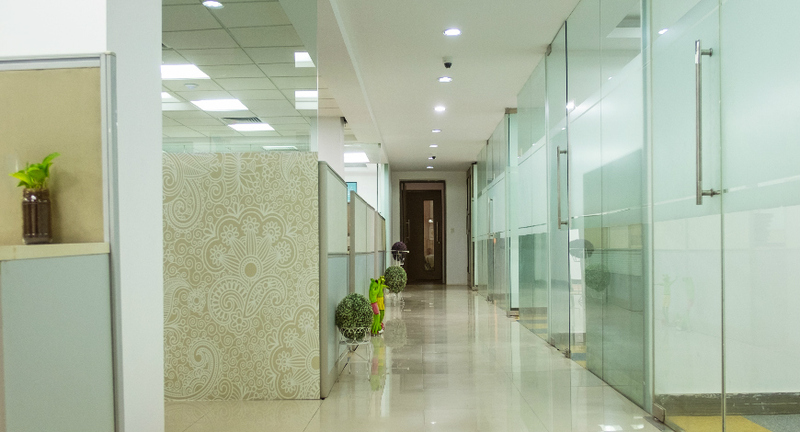 The cowork space is called ‘SproutBox Suryavilas’, after Suryavilas Luxury Resorts; SproutBox has formed a strategic partnership with the luxury hospitality group to open this, their second space after Gurgaon. You walk into SproutBox Suryavilas and see a ton of good things happening. Spread over 15,000 square feet, it will be the only facility that offers 24x7x365 access. You also have high speed internet, a free tea and coffee beverage service, business class printers, spacious common areas, on demand tech support, onsite community managers, cleaning and housekeeping services, and private booths for phone calls. Prices start at 3,499 a month and go up to about 14,999 a month for a dedicated desk you can call your own and access 24x7x365. Startups like Zostel, Sqrrl, Crofarm and leading corporates like IBM and SalesForce work out of SproutBox. The best thing about SproutBox, according to a founder of a parenting app is the interior design, infrastructure and the superfast internet. “This is the fourth coworking space I tried. I’m not at a stage where I find lounging in a bean bag all the time appealing. SproutBox was good for me because it had ample space -I don’t have to knock shoulders every time I turn an inch. They have comfortable chairs [SproutBox got a French designer to make some of their conference tables] and those small things like compatible plug points are available here.” But the best of all the good things at SproutBox seemed to be their Internet facilities. With dedicated servers and speeds of 10Mbps, you could probably download a movie in 5 minutes (don’t try it out though). The space is open to anyone. Freelancers, startups and corporates, the SproutBox owners are happy to host any company with a team smaller than 40 people. “We have set this limit because we want to aid a company’s growth. We will be your family, your mentor and even connect you with lawyers, techies and chartered accountants if you need our help with it,” Gagandeep Singh Sapra said. SproutBox Suryavilas (Okhla) will also be a full time incubator working closely with food, food tech, and hospitality companies. Coworking spaces are expected to receive over 400 million dollars in investment by 2018 and are expected to grow by 50% in 2017, according to a study by real estate firm, JLL. SproutBox was launched in May 2015, and in total, has 20,000 sq. ft. across all locations and by the end of 2017, hopes to have 4 facilities totaling 60,000 sq ft. The coworking industry average revenue per seat is 8,000 rupees and SproutBox is aiming to generate 9,000 rupees a seat at their new Okhla space, and 10 crore in revenue by end of financial year 2017. Gagandeep Singh Sapra and Harpreet Sapra, the buoyant husband-wife business couple run another IT data centre and management company called System 3 Net Technologies, and comply with a free trade agreement to cap profit at 7%; the same will apply to SproutBox. She’s probably right. The coworking industry players are going to get together to form a black list of obnoxious bad clients the fraternity may have come across at their coworking spaces. And why choose SproutBox, we asked Harpreet. “You don’t have to if it doesn’t suit your needs. Pick a space that’s right for your price, your work schedule and travelling needs. It doesn’t make sense to travel hours in bad traffic to get to a coworking space.” For anyone looking for space around Okhla, SproutBox Suryavila will be opening their doors to you today onwards.